Fragrance diffusers work based on a simple wicking system of reeds. Typically, the reeds are placed in a holder with fragrant liquids or oils. The aroma from the oil seeps through the reeds, thereby diffusing scents to fill the room. Fragrance diffusers are perfect for home use as the delicate, lingering aroma gives the home a serene and spa-like ambience. Unlike other fragrancing methods, such as using aerosol sprays, candles or incense sticks, these do not contain chemicals, use electricity orbatteries, are environment-friendly, long-lasting, affordable as well as smoke and mess-free. 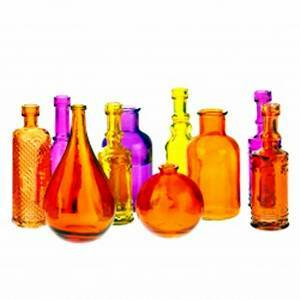 These portable diffusers are ideal to use in different rooms of your home. You can use different aromas to suit the mood in each room. The subtle and long-lasting smell guarantees a calming or invigorating effect, depending on the oils chosen – which makes it a top pick for homes. How to Use a Fragrance Diffuser? Diffusers are available in ready-to-use, DIY and mix-and-match ranges. You will need reeds, essential oils, base oil and an attractive container to hold them all. To get started, fill the container with the base oil, add 10 drops or a little more of essential oil (you could also mix essential oils of your choice to create your own unique aroma) and finally, place 8 to 10 reeds in the container. To refresh, flip the reed sticks from time to time to ensure the dry end is placed in the container. Why Choose a Fragrance Diffuser? Candles are messy, can be dangerous and need a lot of attention. A fragrance diffuser on the other hand, will leave you with no worry for safety, constant attention and neatness and have no smoke or fumes. While incense sticks are mild and easy to use, they do make smoke, which is not suitable for people with allergies, asthma and other breathing problems. A fragrance diffuser will not cause side effects, and entirely relies on the natural aroma of the essential oils – some of these can have relaxing and therapeutic effects. The world is going “green” and your home need not be an exception. A fragrance diffuser does not use electricity or batteries, making it reusable and environmentally-friendly. The reeds used for diffusing the aroma can last a long time without needing changing. These make an eco-friendly alternative to sprays, plastic containers and electricity-based deodorizers. You spend a lot on furniture, painting your walls, and on wallpapers; candles and incense can leave an ugly soot on the wall or leave a messy lump of wax on the surface where they have been placed. Fragrance diffusers cause none of these problems, are home-friendly and keep your wall and floor or furniture surfaces intact! You can create different moods or ambiances for each room in the house. Enhance the character of each room in your home with different scents. 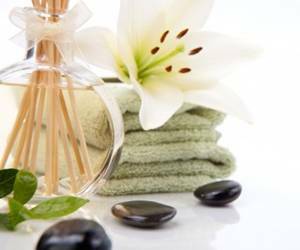 The use of aromatherapy oils can have therapeutic effects, and can improve conditions like stress, depression, panic attacks and more. You can customise each room by carefully choosing aromas that suit the personality of the room. You could choose fragrances like vanilla, cinnamon or earthy scents for the kitchen. A space like the living room could use a floral or woody scent. Fresh aromas like citrus work well in bathrooms. The bedrooms need a calming and soothing mood, lavender, sandalwood and mild scents will do the trick. However, you could mix and match or choose fragrances that suit your home the best. Once the container is empty or the fragrance depleted, refill it with more oil. Use attractive and aesthetically designed containers to hold the oils and reeds. These will double up as attractive pieces of home decor while leaving your home smelling wonderful. See our article on choosing reed diffuser bottles for more ideas. If you find the fragrance too mild in a large room, you could leave two diffusers on diagonal corners of the room to achieve the desired intensity of aroma. Avoid diluting the oil with water; this will hamper the wicking. Do not mix cooking or other oils with the diffuser oil. While this may seem like an easy option, this will limit the potential of your fragrance diffuser. The oils supplied are specially made for optimum distribution of the chosen aroma, adding other oils does not serve the purpose. Give your home the uplifting fragrance makeover. With fragrance diffusers, your home becomes a warm and welcoming place for your guests and a relaxing haven for you!